Your steps are always secure tucked in a closed in heel. Uniquely designed basket weave with open toe cut supports the foot adding comfort, style and beauty to your steps. The slim line of an elegant tee strap supports the foot, held securely in a brass buckle. 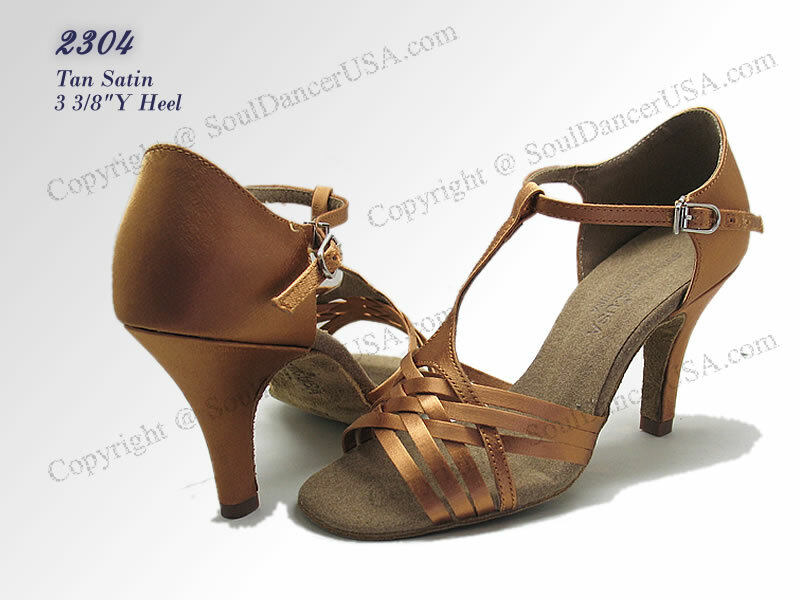 Picture shows in Satin with 3 3/8"Y heel. Available in Black satin, light tan satin, tan satin, copper satin, red satin and white satin only.